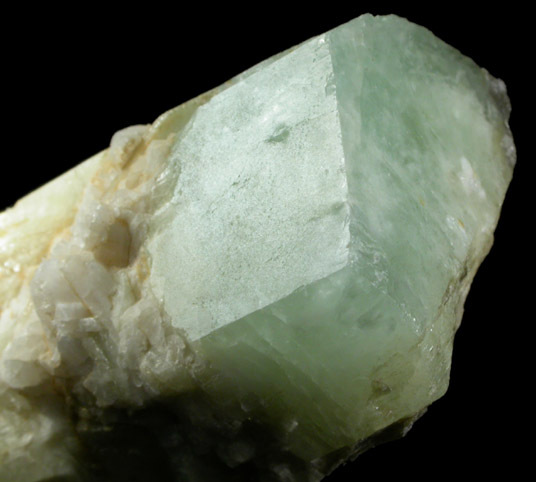 Description: Elongated translucent green beryl crystal with smooth, flat crystal faces and minor inclusions of white albite. 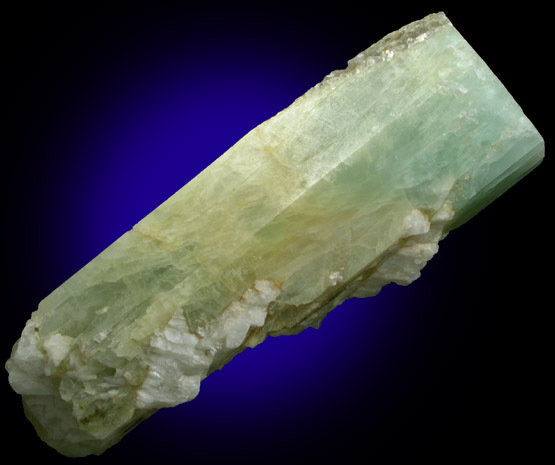 The termination is flat and clean. 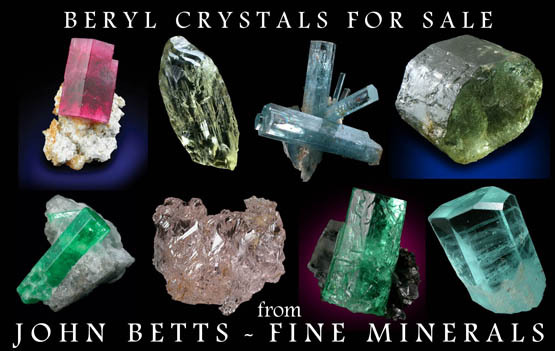 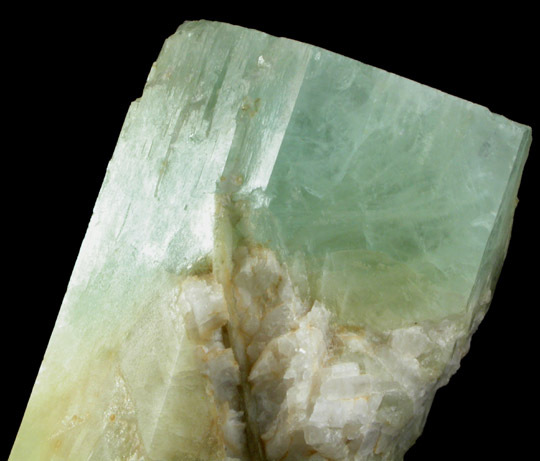 The beryl crystal grew against nearby mica resulting in incomplete rear corner.